There is a major development to report tonight on the murder of Peter “Jam Boy” Flowers that occurred on Caesar Ridge Road on Saturday afternoon. And that is that a police officer is under question but his name will not be released because he has not been charged with the crime. The officer is suspected to have been in the getaway car, a Black Toyota Camry, which was used by the shooters. When police set chase, the car was abandoned on Amara Avenue from where it was taken into custody by the police. It is not certain if the officer was behind the wheel or was a passenger but a source close to the investigation confirms that the officer is also detained for possession of drugs. Jam Boy, an affiliate of the South Side Gangsters was shot multiple times on Caesar Ridge Road when he was heading to the Port. The occupants of the car opened fire and after two shots the gun jammed and one of the occupants exited the car, stood over Jam Boy and fired at least ten more shots. Two female cops were in the area at the time and made an attempt to chase but their vehicle experienced mechanical problems. Family members who live nearby arrived at the scene moments after the shooting. Flowers was killed following the murder of Shelton “Pinky” Tillett, the leader of the George Street Gang, who along with his companion Kamille Andrews were pounced upon at a gas station on the Northern Highway before midnight on Friday. Up until today, no one has been charged for Flowers’ murder and as we said, an officer is under investigation. This news isn’t completely surprising, but I hope they build a stronger case against him than they did against previous murderous, dirty cops. There’s a special circle in Hell for bad police. this is so sad… God, please help Belize. Amen. Investigation? For what? For cleaning the streets? If you guys give the name of the police belive me you will be sentencing him to death. Lets leave him as a hero. I know the gangs are just waiting for that. 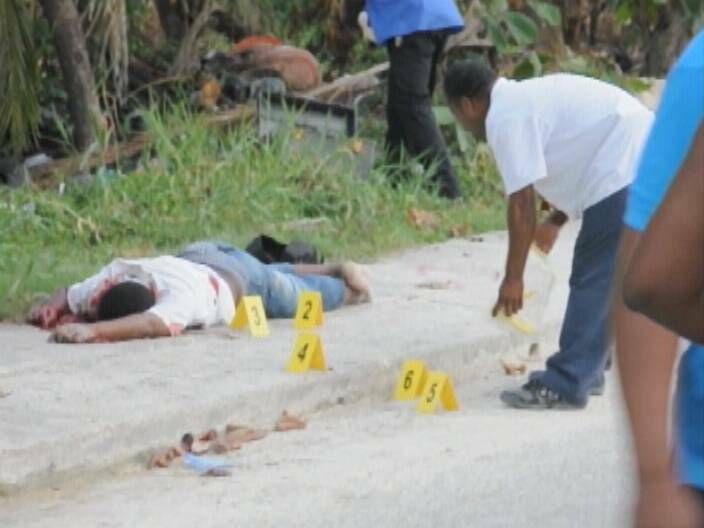 It’s so ironic that everytime one of these so called Gang members are executed there is an ergency by the authorities in finding the killer and yet when an innocent Belizean is executed by these idiots everything is just swept under the carpet. Secondly, if we allowed officers to kill who they feel is a problem to society, what will stop them from killing you without merit ? say you feel a need to talk back or speak up for your rights ? There is a reason we have the courts people. It’s easy to say kill kill kill, until you or your family member are in front of that gun. If the court system is not working, vote in the people who want it fixed. I like your comment Elgin same thoughts I had before writing and it’s totally true hope others see this point of view and challenge the authorities for a explanation. Ok b.Jones not because ur being accused means u did anything, and as for police releasing such info abt an innocent man is putting his live in danger and if he has kids their also in danger as well as his entire family!!!!!! Even if it was a civilian they sud not realease that info if they have no prove of.Storm I do agree that theirs alot of durty cops but who is to say that ones giving the info is not the durty ones, so plse dnt believe everything you hear on the news. Again the truth shall prevail in the end and I pray to God that the real killer is found soon. 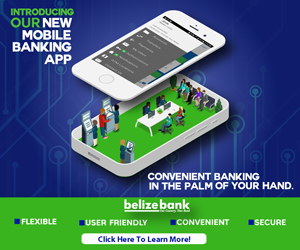 Belize has become a battlefield and they knw that a group of police kill the other guy and yet they refuse to give the public any info abt hw he was shot and hw many times; now that is unfair to his family and public and thats y they brought out this BS story abt the police officer to tke the focus off of them. Most of the big officers on top are evil and is on someone payroll. Ok b.Jones lets not believe everything we hear and see on the news. The police dept sud b ashame of themselves 4 giving out such info with-out proof becaz their putting that person and their family in danger of loosing their lives and if even if it wasnt a cop the same wud go for a civilian. We all need to stop and think for a min, because if it was our family member being accused of such grief crime when they are INNOCENT how wud you feel? especially the way things are going in our beautiful country. I pray and hope that all the families that lost their loves ones get justice and that the police dept stop putting people life in DANGER unless they have proof and have actually CHARGED the right person or persons!!!! The police dept is quick to accuse their own without proof and we all knw that they kill the young man in Vista Delmar and refuse to tell us how and y he was killed, as well as to how many times he was shot, or what group went for him but wasted no time to reveal such info to the public abt that police officer with out PROOF. They did this to take the heat off of them, why because the big dogs incharge are trying to protect them but have no prob throwing this cop to the wolves. I pray to God for peace in our country and for his devine Mercy and Protection for the cop and his family, and that these families that lost their love ones get justice. Lord please do not let any evil or harm befall an innocent man and his family in Jesus name and help our country to thrive and plse let the violence end in Jesus name I pray amen!!!!! Maybe just maybe, those responsible for the recent murders, and attempt murders of gang members are the police, or a vigilante who is fed up …. or both. Seems strange the a “gand truce” is in effect, yet mostly gang members are dying…. Just food for thought. With the “new Belize” which sounds like lately like the “wild, wild west” I would not be surprised. I dont care who is killing, if d police or d gangs or a vigilante is doing all d killing…d fact is that theses murderers are being eradicated one by one, they r falling like dead flies. Belize has all the correct ingredients for a well organized paramilitar organization to be formed and start executing gang members. We need something like LOS PEPES that was lead by Carlos Castano “RIP” . Los PEPES were the only people that effectively counterattacked Pablo Escobar when Colombia had lost all hope!